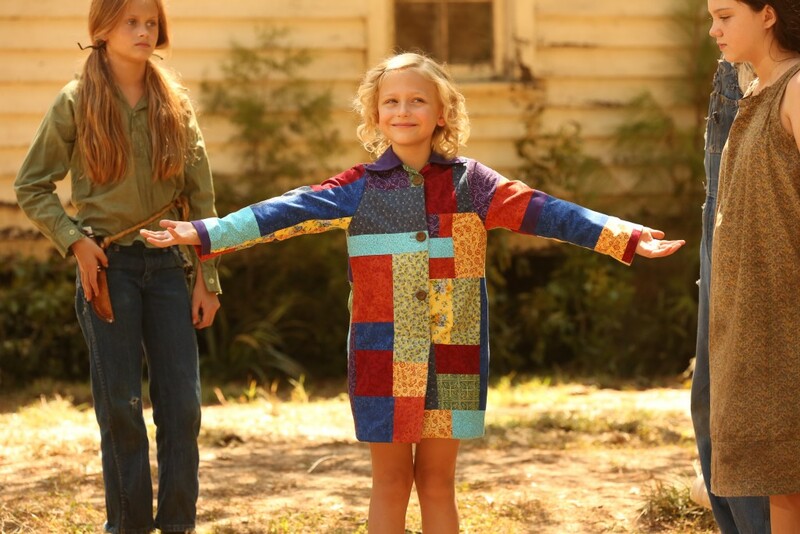 Actually, the scene Lind just wrapped was a happy one in which Little Dolly tries on the titular unfinished coat, thanks to her mama “sewin’ every piece with love,” as the classic 1971 song goes. But the rags-really-can-be-riches tale weaves in deep tragedies that the family couldn’t simply shake off (including a sibling loss that devastated the loving brood) during Parton’s trying childhood in Locust Ridge, Tennessee, in 1955. The second movie is slated to be the man-stealing missive Jolene, due out next fall, with a script by John Sacret Young (China Beach). “The Seeker,” one of her most spiritual songs, forms the basis of the third, with a fourth still being determined. Parton’s real-life younger sis Stella appears as a church lady/busybody who initially brings the box of rags to the Partons. “My sister called and said, ‘There’s a part in here. Do you want to read for it?’” Stella says. “I said, ‘Well, sure.’ She said, ‘You can’t be pretty in it.’” Stella also assisted the prop masters in making homemade toys like the ones she had as a child and helped the actors understand her family. “Poverty of mind is a lot worse than poverty of the pocketbook,” Stella says, “so we were very rich, as far as I could tell, because we had loving, nurturing parents.” Through her mama’s love, Dolly learned to forgive, but she’ll never forget.